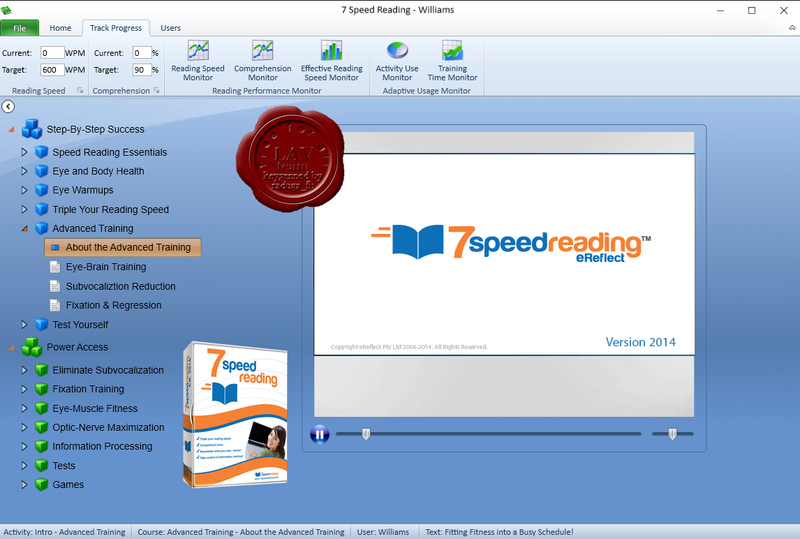 The only modern speed reading software to use the latest technology for superior results. A new way to master speed reading that guarantees 3 times the reading speed with improved memory and comprehension. The most comprehensive speed reading system anywhere - with 7 learning strategies, 15 software activities, video training, ultra-advanced tracking, and much more.